In today’s global marketplace employee relocations are an essential part of the corporate culture. Offering a relocation package gives your company the competitive edge necessary to attract the most qualified candidate. Establishing a strategic partnership with Condor Moving Systems will enable your company to provide an attractive relocation package allowing you to manage this expense by providing a service that is reliable, hassle-free and cost-efficient. As preferred relocation vendor Condor will eliminate the need for multiple bids and allow your employee to receive rates and discounts that may not be available to others. Running a business is all about efficiency,while simultaneously trying to remain efficient with your time and money. By choosing Condor to move your employees, you are making yet another great business decision. The same way you minimize your costs to please your customers, we maximize value and quality to suit your employee’s needs. Managing a business is about managing people, too. You have probably learned that as your business size increases, it becomes more and more about how to effectively manage your people and less about running the business itself. If you have a business with multiple employees it is a difficult task to move to different areas. There are businesses out there, which demand a high level of devotion from its employees, whether you’re into research, sales, services or manufacturing. If Steve J. is meddling around with how to move his glass china cabinet, he is devoting time to not working for you thus costing your business money and resources, thus costing you money and resources. Relocating on a wide scale doesn’t have to be a hassle – and it isn’t with Condor Moving Systems.Condor can provide customized and quality service while we control your cost. 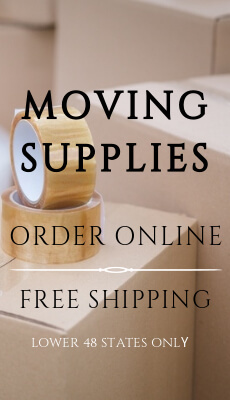 Condor Moving Systems will customize our service for your company and employee’s needs. We will provide you a single point-of-contact as our team helps manage your employee’s relocation. Condor will work with you whether it’s a lump-sum, direct reimbursement or direct bill. Condor Moving Systems holds Pinnacle Mover status through the Southwest Movers Association a prestigious award that less than 30 out of 800 moving companies hold. Condor is a recognized ProMover through the American Moving and Storage Association giving your company and its employee’s peace of mind that you are dealing with a professional moving company. We have carefully structured our business minimizing our costs so we can pass the savings on to you. Condor can save your company hundreds to thousands of dollars for every employee you relocate by not overpaying to go with a “big name” Van Line. We strongly believe that you should pay for the service and not the name. Our goal is to save your employee time during the relocation process to maximize your employee’s productivity. Contact us today to see how we can help your company start saving money instantly at 877-460-6683 and speak to our highly knowledgeable staff.